AudioTraffic provides news media app users with live, up-to-the-minute traffic reports about traffic conditions in the exact area they are driving. That means they’re hearing about traffic problems right where they are — not in another part of the community. No one else, anywhere, provides safe, non-distracting, GPS-based audio traffic reporting for mobile media. Non-distracting, Pin-point targeted, Live traffic reports. The very nature of both TV and newspapers has limited their ability to provide meaningful traffic news to their readers and viewers. 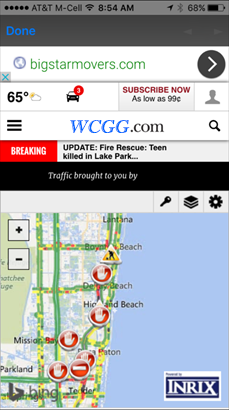 Newspaper and TV apps’ traffic news has so far been confined to Google, Bing and other visual traffic map feeds – providing limited real-world help for drivers who need up-to-the- minute traffic information while they’re on the road. AudioTraffic provides news media apps with safe, non-distracting GPS-targeted traffic reports that are instantly available using the driver’s precise locations. Some of the best traffic reporting talent in the industry provide the area’s most detailed, accurate and timely traffic news. Using multiple proprietary and public resources to produce the area’s most comprehensive traffic reports. AudioTraffic reports are updated and made available within seconds of a traffic-related event – and delivered where users are driving. AudioTraffic reports on your TV station or newspaper’s app are branded by the reporters as coming from your newspaper. Our reporters identify themselves as your reporters providing the region’s most comprehensive and precise traffic reporting. 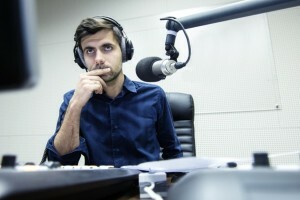 AudioTraffic is also an exclusive and offered via only one media outlet in any given local market area in the United States. 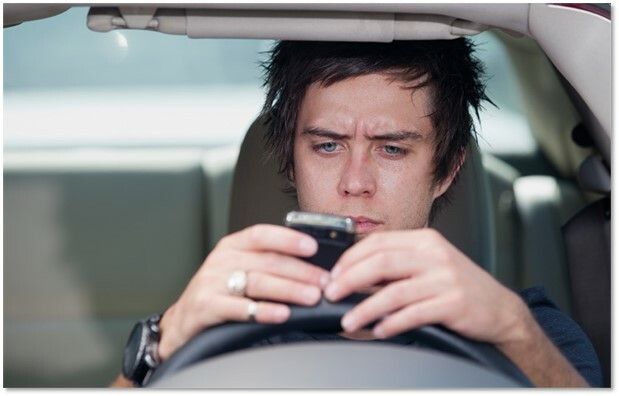 He’s distracted while looking at his phone, not at the road. AudioTraffic is all audio – it’s up-to-the-minute traffic news and information your readers hear without distraction while driving. Traffic information needs to be heard when and where it’s needed — not read while driving 65 MPH. And AudioTraffic is GPS-targeted, giving them the traffic information they need exactly where they need it. AudioTraffic puts your app in cars and trucks with audio traffic reports that don’t distract drivers. And once they’re listening to AudioTraffic, you can also provide audio weather reports and news teasers with either the voices of your own newspaper talent or AudioTraffic’s reporters branded as your own.